Does the Martingale Betting Strategy Always Lose? Learn how to win at gambling with the Martingale strategy system. 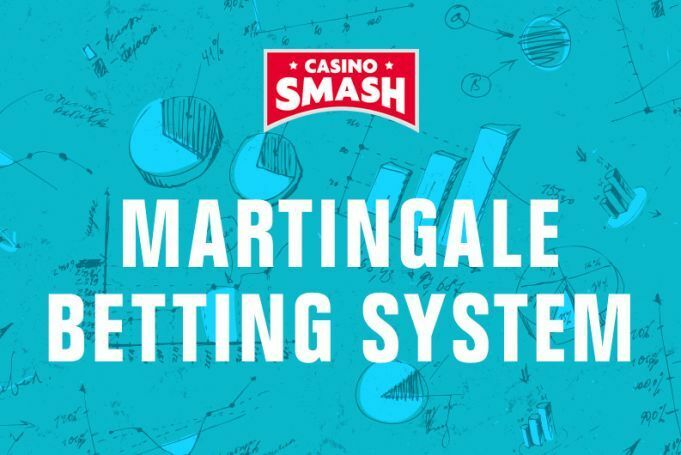 Discover how to use the Martingale betting strategy to your advantage and beat the house! The Martingale Betting System is one of the oldest systems on record and one of the most avoided by professional gamblers. As you see on this article, the Martingale betting strategy is simple to understand and implement as much as it's one of the riskiest choices you can take when you gamble. The Martingale Strategy is a betting 'plan' that requires you to double your bet every time you lose. When a winning bet takes place, you are guaranteed to recover all your losses plus your initial bet. The perfection of this system, however, exists only at the theoretical level. The size of your bankroll and the tables' betting limits are what makes it one of the most inefficient betting systems in gambling. Let's see why with a concrete example on how you can use the Martingale strategy to play Roulette. Do you really want to get more chances to win? Play with a bonus! See if you qualify for this no deposit bonus and play risk-free Casino games for real money! When you adopt the Martingale betting system you need to double your bet after every loss in an even-money bet. To translate this into more gambling-friendly terms, let's see how to play Roulette using the Martingale strategy using an example from the book The Mensa Guide to Casino Gambling by Andrew Brisman. Imagine that you are about to sit at an online table of European roulette with a bankroll of $1,000. The table rules state that the limits are set at $5 for the minimum bet and $1,000 for the maximum one. First Problem: You. As a player, you always look at the minimum bet to understand whether you can afford to play a game or not. When you use the Martingale strategy system, you need to care about the maximum limit, too. Read on to know why. At this point, you hit both limits: your bankroll limit and the one of the table. To continue with your game, your ninth bet needs to be of 2*640 - meaning you need to pony up $1,280. Which is $280 more than you have. The worst part? Even if you decide to go against all my bits of advice on bankroll management, you will still not get the chance to recover from your losses. The Martingale betting progression brought you$280 over the table limit. You have no way to continue playing - even if you find the money to do it. While the Martingale system does not always lead to losses (you would have to be pretty unlucky to lose eight Red / Black bets straight), it does not help you win much either. That's because all the Martingale can give you are the illusion that this betting system works and a series of mini-sized wins. Let's use the same Roulette game to understand the numbers and let's assume, this time, you finally nail it and you win the eight game. This Roulette spin costs you $640 (after are already down by $635), so you have invested a lot in the game. In fact, you invested so much that this is your last chance - after this spin, your whole bankroll will be gone. Winning the game number eight with the Martingale strategy system on a Red / Black bet you get even money - meaning you win $640. So, think: would you risk your whole bankroll for a slim $5 win? In any even money game, one without a house edge, the Martingale can be a winning system. The fact is though that you are not going to find Casinos that will let you play games with no house edge or fees that give the house advantage over their players. The reason why so many players use the Martingale system in gambling is that this is one of the easiest betting systems to understand and it gives gamblers instant satisfaction and many short-term wins. But - as any Martingale strategy calculator will show you - this betting system gives you wins that are equal to your initial bet. If you are lucky enough to win, of course. This betting strategy is also known as the anti-Martingale betting strategy. The main idea is that you should do the exact opposite of whatever the Martingale strategy dictates. The Martingale system is a negative progression strategy where you raise your betting stake every time a bet is lost. In the Reverse Martingale you want to decrease your bet every time you lose and increase it every time you win. This is what’s called a positive progression strategy, where you let winning streaks run by betting more and seek to reduce exposure during cold streaks. This system is deployed often by players at the craps table. The bets are pressed while the dice run hot to maximize winnings. Naturally eventually a losing outcome will present itself and everything will be lost, unless you take something off the table as you continue to play. Craps players can use a half-press strategy where they only increase their winning bets by 50% instead of 100%, effectively banking some profits along the way and eventually free rolling with the Casino's money after several successful rolls. We have all had friends who have employed this betting strategy in some shape or form, and have fantastic Martingale success stories about how they doubled their money in 4 hours of play. 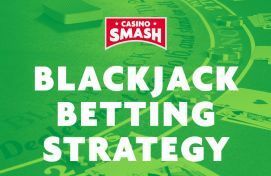 The fact is that yes, it is possible to enjoy some short-term wins using the Martingale betting strategy. That said, the house edge, the table limits, and the lack of unlimited bankrolls show that everyone will lose their money betting this way. So - no, you should not follow the Martingale betting strategy when you gamble online.